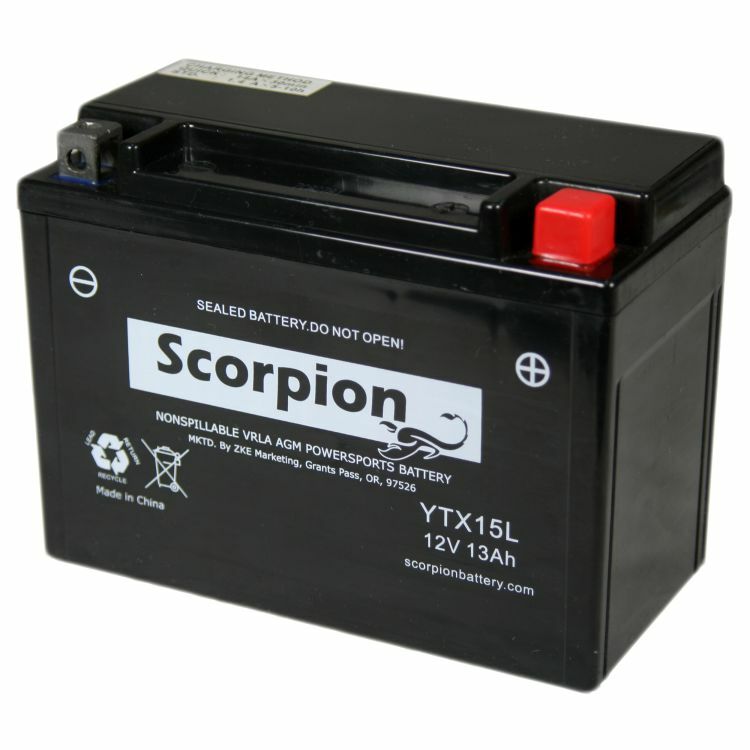 YTX15L-BS High performance battery by Scorpion. These are no ordinary replacement batteries, but a true high performance AGM battery that is designed to meet and even surpass the standards set by your vehicle’s OEM manufacturer. Universal is dedicated to manufacturing only the best replacement batteries, to uncompromising standards. 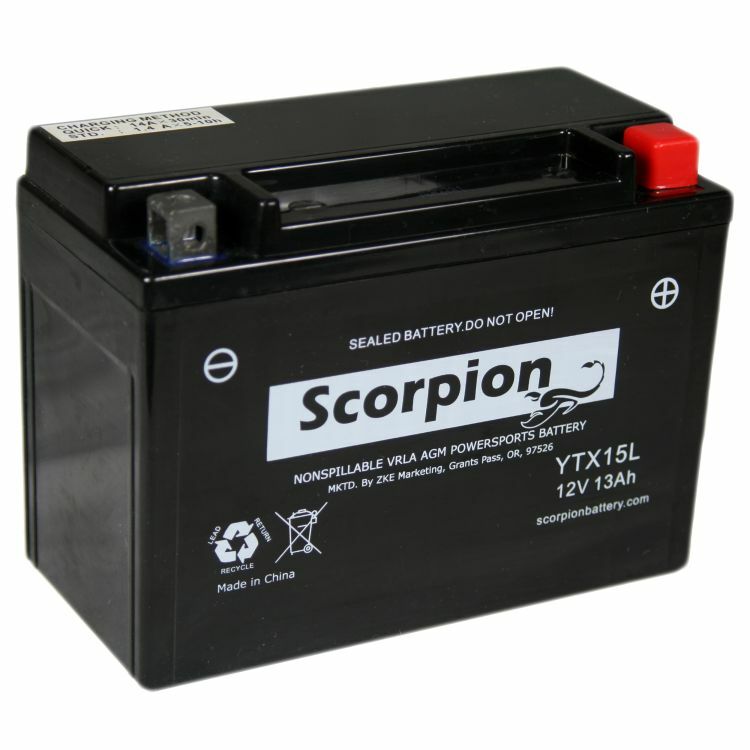 Manufactured by one the largest makers of motorcycle and ATV batteries in the world. While these batteries are ‘new’ to the US market, they have become one of the largest powersports battery manufacturers in the rest of the world simply because they build only quality products. By continually updating and modernizing their manufacturing process, the makers of Scorpion YTX15L-BS batteries have achieved a position in the Powersports industry that is unrivaled around the world. 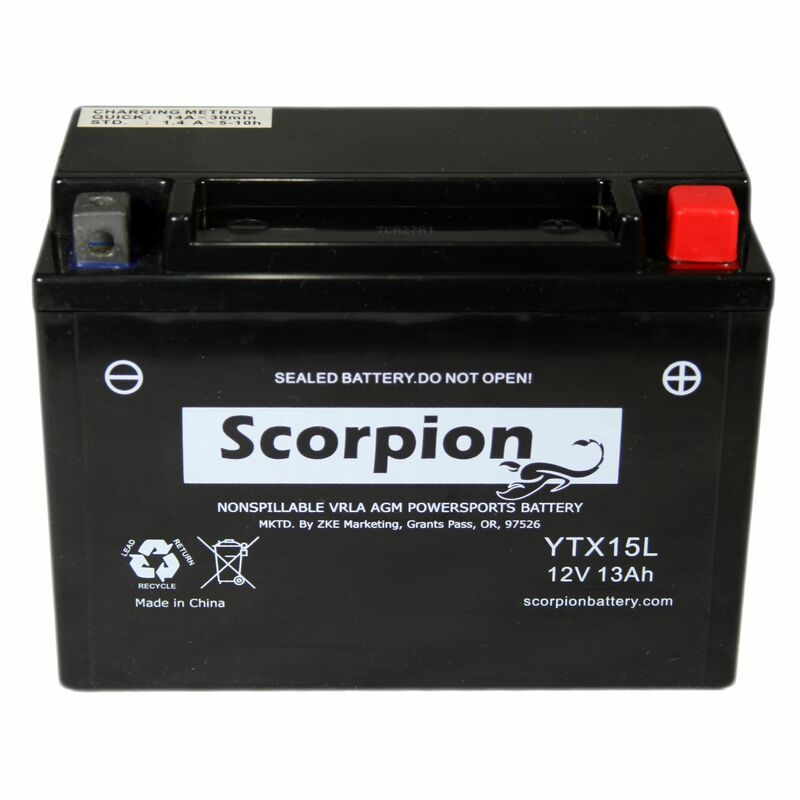 Be assured that with Scorpion Powersports YTX15L-BS batteries you are buying quality, at an affordable price. Rated 5.00/5 Stars from 4 customer reviews. Do you own the sYTX15L-BS? Please, tell us what you think about it. It helps us provide you with better products. Please note that it may take up to 72 hours for your review to appear. Pros: I bought this battery and 3day later it arrived as promised, the battery fit perfectly and works great. Always the right battery at the best price. Pros: Glass mat with no maintenance. Fit was just right as was the price. Arrived ready to install. Battery Stuff is my go to source.